In spring 2015, ITVS GE will debut its new action adventure series Thunderbirds Are Go. The remake of the classic 1960’s TV show will remain true to the values of the original series, while going all out to entice and thrill a new generation of fans. In this, Trudi Hayward, SVP of Global Merchandise and Giles Ridge, Executive Producer, Thunderbirds Are Go, explain how and why. What’s the target audience of the new show? Trudi Hayward: There is, and has always been, an ongoing affection in the UK, Australia and Japan for Thunderbirds, so our target audience will be two-fold. 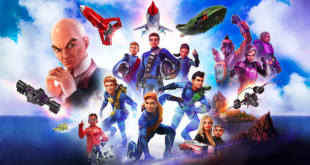 It offers an exciting opportunity to bring updated Thunderbirds content and products to a completely new generation of kids aged 5-11 years, in addition to international audiences seeing it for the first time. We also have a secondary audience of loyal fans who grew up with the show, such as adult fans and dads who will all be thrilled with the premise of rescue and adventure and its use of iconic vehicles and craft. 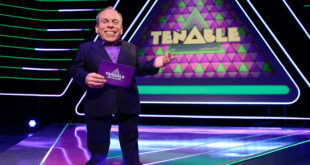 We’re confident that the pioneering new series will be a massive hit due to its strong cross-generational appeal. What’s the level of investment into the show? Giles Ridge: It’s been a daunting process taking on such a classic but also a wonderful privilege, so it was vital to produce Thunderbirds Are Go with the best in the business. It was clear to us, at a very early stage, that we needed to work with a group of creatives who were not only inspired by the original series, but also whose craftsmanship, affection and attention to detail matched that of the original programme makers. It’s been a great honour for ITV Studios to work with both Richard Taylor and his hugely talented team at Pukeko Pictures and Weta Workshop in New Zealand on what is a stunning new series. How mindful do you have to be when reinventing an older property? Do you have to remain sympathetic to the original in some areas for fear of upsetting existing fans? GR: When we first decided to create a new version of Thunderbirds, we had no intention of messing with what had already worked. It’s an iconic show for a reason, a show that inspired a whole generation of people. Our intentions were to celebrate it and make it a tribute to a classic in its 50th year, so the decisions and changes we made were not entered into lightly. And whilst retaining its originality was key, it was important to find the right balance between old and new so that the series also appealed to a new modern audience. We talked with kids all the way through development to create the look, style and feel of both the action and characters, ensuring its appeal extended beyond the nostalgia fans and reached modern day children across the globe. How have existing Thunderbirds fans and retailers reacted to the new version? TH: The response that we have received for Thunderbirds Are Go has been phenomenal. It’s been overwhelming across the board and generated significant interest from not only the original fan base but also the market too. Our sub marketing campaign is a great example. Inspired by the show’s villain, ‘Hood Cam’ is a secret site created to generate buzz and intrigue in the run up to the official launch. Without any promotion, the site has been picked up by Thunderbirds super fans and featured on the website of national UK newspaper Metro and leading website Digital Spy, and is attracting thousands of hits. Are you looking to roll out internationally? TH: The level of dedication in the development of this series has been incredible and all secure in the knowledge that Thunderbirds is an iconic brand with an astonishing track record. It really is a national treasure. As such, Thunderbirds Are Go will be supported by a full-scale global consumer products programme, which will debut at retail from Autumn 2015. The roll out will be led by our master toy partner Vivid, who have world rights excluding US and Asia and are aiming to launch a hero product every Q4. The programme will be positioned as a mass market children’s property with strong international appeal. What have you done to enthuse potential new fans to the brand? GR: Gerry and Sylvia Anderson’s classic series was groundbreaking for its time. They created miniature sets in a way that made them look photographic yet completely believable and fascinated its original viewers. It became an instant hit and inspired families in the 1960s that were captivated with the idea of space travel, advanced technology and the message of helping to rescue and save people. So when we were thinking of a style that would be distinctive and cater for both a new audience and existing fans , we thought rather than follow the crowd, let’s pay homage to the original show and offer something completely revolutionary for our time and incorporate that same level of workmanship and attention to detail by building with models. This ethos has enabled us to create a unique visual aesthetic, so whilst the show will have CG craft and characters, all the backgrounds will be miniatures, achieved in the same way as the original series. To ensure longevity, how do you see the roll out of the consumer products developing for the brand? TH: Our ambition is to generate as much excitement with this licensing programme as the original series. Thunderbirds Are Go is all about rescue and adventure and the use of iconic vehicles and technology – so the strategy here hinges on developing a range of products that lean towards bringing these key elements to life. We are in the midst of building an exciting licensing programme which will be led by Vivid. We want the toy category to have a particular focus on developing inventive vehicles and craft, play sets, action figures, die cast models, role play and dress up, construction toys, board games and puzzles. In addition to toys, we anticipate that publishing, digital and back to school will also be driving categories. 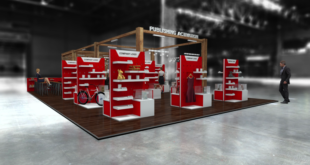 Additionally, due its strong heritage, the brand also has the potential to appeal to mid-market retailers with categories such as gifts and apparel. We are taking a long term view on the licensing strategy that prioritises quality and innovation and want to work with best in class licensees that reflect our vision and genuine passion for the brand. What is your objective for the new brand? TH: Thunderbirds Are Go really has got off to a great start. 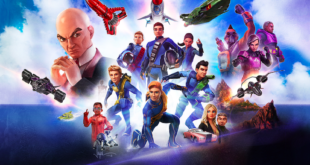 The brand received an incredible reaction following its international debut at Licensing Expo at Vegas, we’ll be announcing our first ever publishing, gifting and personal care partners at BLE and cannot wait to unveil the first ever episode of Thunderbirds Are Go at Mip Junior this year. As we gear up to celebrate the 50th anniversary next year, we intend to capitalise on the incredible momentum that Thunderbirds Are Go has achieved to date by signing the right partners and continue with our F.A.B mission to build yet another inspirational series that will leave both the industry and fans completely inspired, just like they were 50 years ago.